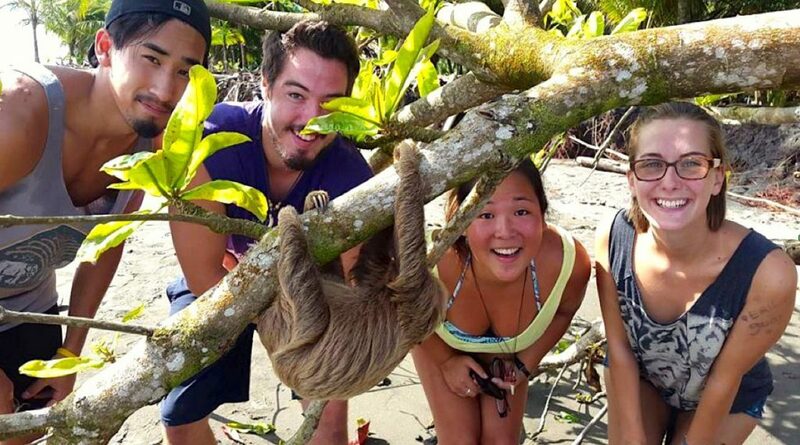 Sloth Sanctuary Conservation program Offering beaches, rainforest, volcanoes, national parks and an abundance of exotic wildlife volunteer opportunities, Costa Rica is a treasure trove of natural beauty. The country is also famous for outdoor pursuits, offering visitors hiking, biking, surfing, zip-lining and white water rapids. Whether you’re catching waves or looking for toucans and scarlet macaws, you won’t be short of things to do in your free time! How can I work with sloths? How can I help save the sloths? If these questions have ever entered your mind, you’re in the right place – welcome to A Broader View’s sloth volunteer program! Sloths are truly fascinating creatures. Did you know that they move so slowly on purpose to avoid being spotted by harpy eagles, their biggest predator? Or that they cultivate algal gardens in their fur until they turn completely green and blend in with the canopy of the rainforest? Or that they only go to the bathroom once a week? Gentle by nature and enchanting to observe, sloths are wonderful animals to work alongside – which is where you come in! Your search for the best volunteer abroad programs ends right here. 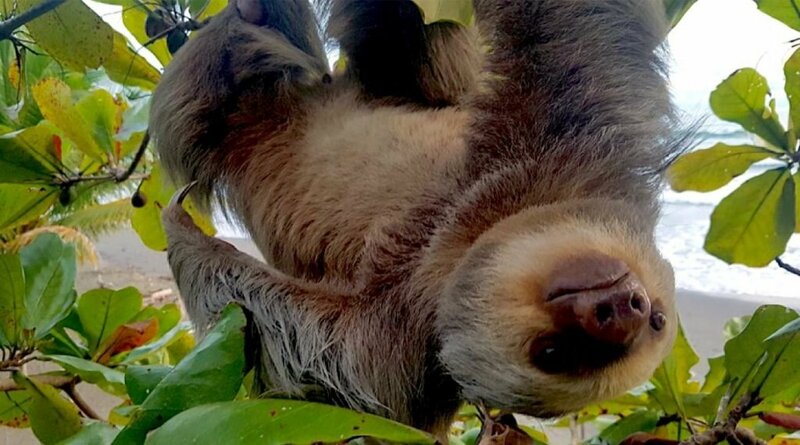 Apply for this sloth volunteer Costa Rica opportunity today and become part of a crucial community-led mammal monitoring and conservation project. Through research, activities and raising awareness in the local community, you will have the chance to make a real difference and contribute to the conservation of not only sloths but also monkeys, turtles and iguanas. Is this volunteer abroad animals program right for you? Take a look at the checklist below to help you decide. Would you like to learn about conservation? Is working closely with exotic animals a dream come true for you? Is it time for a fresh challenge? Would you like to spend some quality time in stunning Costa Rica? Are you interested in meeting likeminded volunteers? Are you looking for volunteer abroad programs for college students? Are you interested in learning new skills? Do you want to give your resume a unique upgrade? If you answered yes to any or all of the above, read on. This could be the wildlife volunteer program for you! What exactly will I be doing on this program? 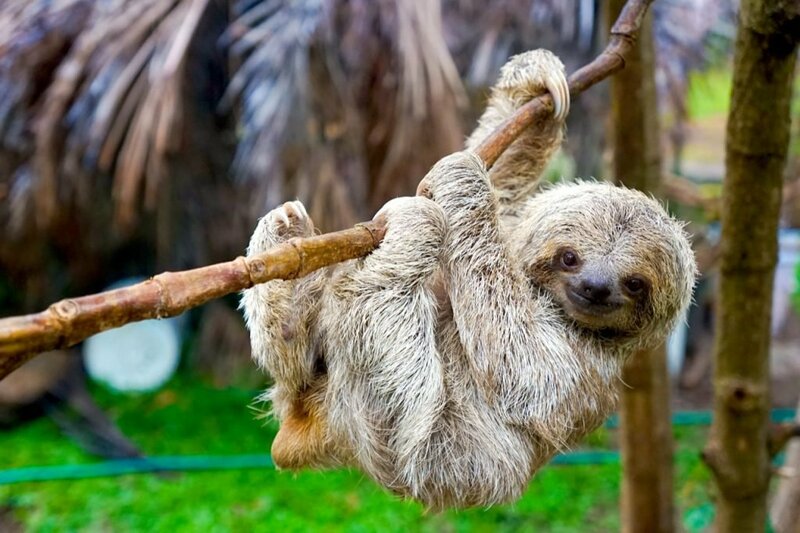 With top speeds of just six centimeters a second, sloths have earned a reputation for being slow and, well, slothful. The clue is in the name, with ‘sloth’ quite literally meaning laziness. However, this comprehensive program will leave you little time to be slothful! From the moment you arrive, you will be providing vital support to our conservation project. Here is what you can expect to do during the one to six weeks you stay with us in beautiful Costa Rica. 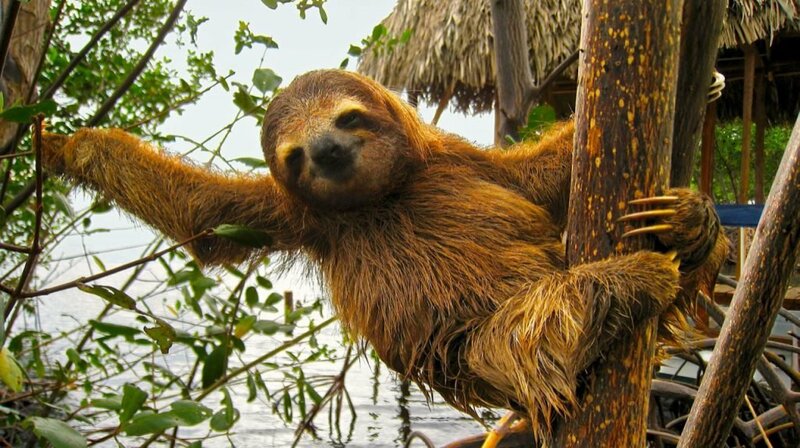 Since sloths spend the majority of their time up in the canopy and venture down just once a week, they are somewhat elusive and their behavior remains something of a mystery. It is particularly difficult to monitor sloths which have been released back into the wild by rescue centers, which is why intensive research on these lovable creatures is absolutely imperative to the conservation effort, in order to protect them in an ever-changing world. But sloths aren’t the only animals at risk in the jungle. Anteaters, raccoons, sea turtles and numerous other species that call Costa Rica home are sadly in danger from the local community, which lacks knowledge about the importance of these animals and how to mitigate risks to them and the entire ecosystem. Some are hunted illegally for food or cash, while others are sacrificed in urban or agricultural expansion projects. Offering beaches, rainforest, volcanoes, national parks and an abundance of exotic wildlife volunteer opportunities, Costa Rica is a treasure trove of natural beauty. The country is also famous for outdoor pursuits, offering visitors hiking, biking, surfing, zip-lining and white water rapids. Whether you’re catching waves or looking for toucans and scarlet macaws, you won’t be short of things to do in your free time! Browse the local markets, relax on the white sand beaches or ask us about Spanish lessons or dance classes which we can arrange locally. Experience pura vida with A Broader View in the beautiful Costa Rica! Join an army of international student volunteers and travelers from across the globe! Founded in 2007 and with over a decade of experience, A Broader View is a US-based non-profit organization which specializes in safe, quality and affordable international volunteer travel. 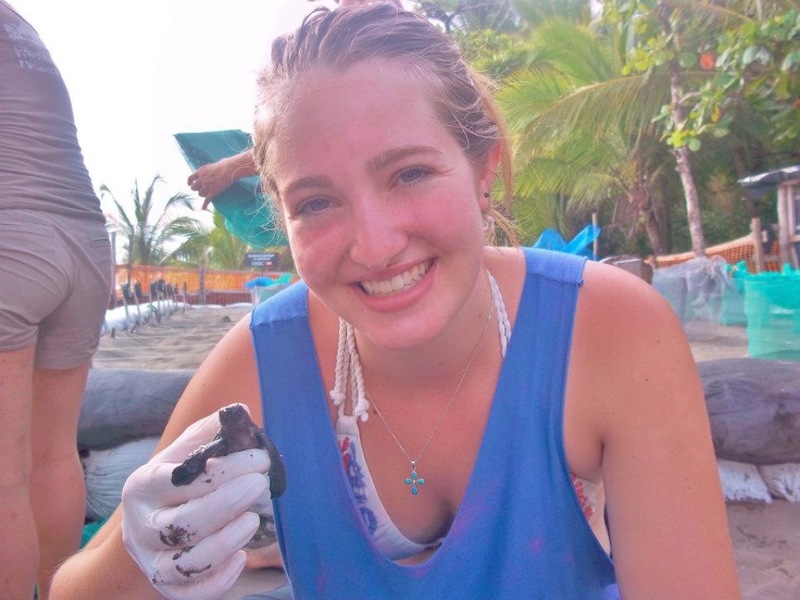 With a focus on flexibility and affordability, our short term volunteer internships are perfect for gap year travelers, retirees and students seeking to gain valuable insight into their chosen industries through structured developmental programs or field work (for which they do not directly receive academic credit). Apply today for the chance to acquire professional insight to bolster your resume, explore a new country and gain a broader view of this wonderful world we live in.